Korupční víceboj > Aktuality > The non-functioning system of sports financing contributes to manipulation. TI wants to change that. The non-functioning system of sports financing contributes to manipulation. TI wants to change that. Transparency International Czech Republic (TI) has officially launched a campaign for a cleaner and more transparent sports environment titled “Corruption track and field”. 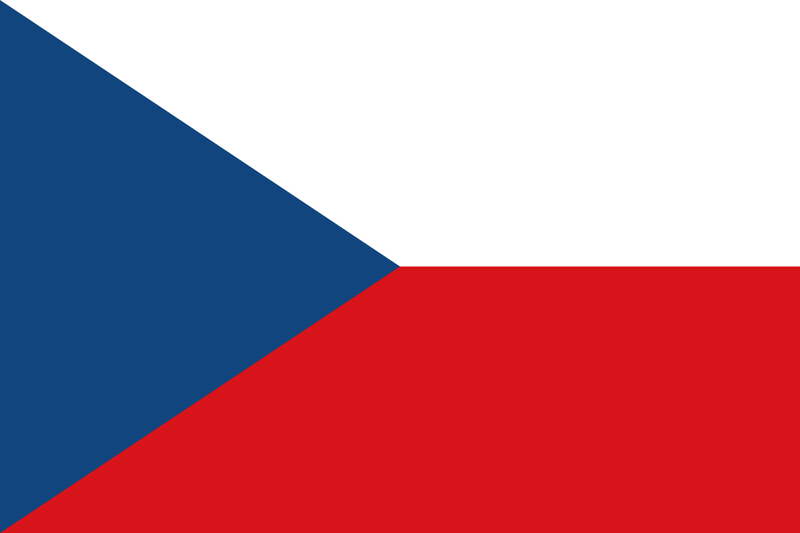 We are also responding to long-term non-conceptual and unsystematic sports financing in the Czech Republic. The communication backbone of the entire campaign is a video that illustrates negative effects of corruption and dishonesty in the sports environment. The role of the narrators of this special event was taken up by the most competent actors – Petr Čtvrtníček and Jiří Lábus. The main character was played by the actor Ondřej Malý. The sportsmen and persons associated with sports, who are not indifferent to the functioning of sports in the Czech Republic and have therefore taken part in the relay supporting TI´s activities, also form an integral part of the campaign. The aim is not only to draw attention to the negative effects of corruption but also to send a clear signal to the professional public, officials, and politicians that it is necessary to change the system, create a transparent environment and involve the general public in the discussion about changes. The following people have already been involved in the relay: badminton player Petr Koukal, actor and director Jakub Štáfek, NHL ice hockey players David Pastrňák and Martin Hanzal, beach volleyball player Kristýna Hoidarová Kolocová and actors Petr Čtvrtníček and Jiří Lábus. “Being a part of this project has been inspiring and important. I think that it is necessary for the society to learn about the conditions in the sports financing. I believe in the right influence and reach of the familiar faces of the sporting world that have been involved and that will further motivate others to more openness, fairness and transparency. I wish the campaign to be successful, to show results in the real world and to send the money where it is really needed,” adds designer Roman Kvita, who created a relay baton for our campaign. TI has been focusing on sports and its financing in the long run and its activities are based on three pillars. We have repeatedly pointed to the need for a systemic change of the subsidy policies and their subsequent control by the Ministry of Education, Youth and Sports. However, we are not only concerned with the sports financing at the national level but also at the local level. Last year, we presented the analysis “Sports financing by municipalities and regions“, which was based on a questionnaire survey of all regions in the Czech Republic and 13 statutory cities, focusing on the interdependence of sports subsidies, their design, and transparency of spending. In addition, we work with some sports unions to improve their internal processes and reset internal rules, including training of selected employee groups. Last but not least, we deal with specific cases and notifications. We currently deal mainly with subsidy cases, in collaboration with law enforcement agencies. “We have received a notification of possible manipulation of subsidies distributed by one larger territorial self-government. After finding the details and gathering all available information, we concluded that there was a reasonable suspicion of committing a crime. We then passed it to the law enforcement authorities. An investigation is currently underway,” explains Petr Leyer, a TI lawyer. Our outcomes and experience confirm that the current system creates an ideal environment for the abuse of subsidy support, and the quality of the concept of sports financing is clearly lacking. “Sport and its financing include many different subjects with completely different interests and working methods. One of our main goals is to communicate with all stakeholders and try to bring an independent view without any particular interests in the debate over the correct set up of the system. We want the system to be sustainable, predictable and transparent in the long run,” says Sylvie Kloboučková, a TI lawyer. For these reasons, we want to initiate a space for functional and legitimate dialogue between policy makers, officials from the Ministry of Education, Youth and Sports, local authorities, and sports organizations. The involvement of the public is equally important. We currently perceive insufficient coordination and communication among stakeholders as one of the major obstacles. We will continue to monitor the sports environment, its changes and needs and, on the basis of our own expertise, we will bring together a set of recommendations. major international cases within the TI network, a FIFA scandal, or the organization of major international events. We have had a few reinforcements for a fairer and more transparent sport. The professionals from advertising agency Saatchi & Saatchi Prague have been involved from the beginning in thinking about the campaign details, visuals, and videos. “At Saatchi & Saatchi Prague we are all athletes in our body and soul, although many of us prefer to watch sports from the chairs. Therefore, our cooperation with Transparency International has become a heartfelt thing for us. We have created a campaign that we firmly believe will help with humour to draw attention to long-term issues and systemic problems in the sports financing. Non-transparent and non-conceptual distribution of money and pervasive corruption are not just an issue in top-level sport and big clubs but they are also growing to the lowest level where sport should be fun. Do not let corruption become a sporting discipline! We fight against it with humour and insight, but with all urgency and vigour,” says Tomáš Löbel, Managing Director Saatchi & Saatchi Prague. The filmmakers from Boogiefilms, headed by the director and actor Jakub Štáfek, have been involved in the realization and production of the clip. “When I do something for free, it’s important that the project makes sense to me as in this case. I am interested in sports and I am not indifferent to what is going on in it. That’s why I helped TI and raised this issue,” adds Jakub Štáfek. Our non-governmental organization funds this campaign by its own means, which guarantee its impartiality and balance. That is why we are also addressing the general public with an appeal for donor support that allows us to effectively fight against corruption in sport. You can take part through the www.korupcniviceboj.cz website or through Darujme.cz portal. We map the state of corruption in the Czech Republic and actively contribute to its reduction, as part of Transparency International’s international network. We involve the civil society, the private sphere and the state sector in a broad debate on good governance. We benefit from years of international experience and know-how in setting up anti-corruption programs and strategies. Through our projects, we actively contribute to initiating system changes. We run a free legal advice centre for the public, which is addressed by hundreds of clients from all over the country every year. Our investigators put corruption cases in motion. We have started, for example, the cases around the state enterprise “Lesy České republiky” and in the Prague Public Transit Company. We uncover the networks of politicians and entrepreneurs who exploit EU funds, for example, around the EU funds and “ROP Severozápad” (the Czech Regional Operational Program: Northwest).